It is important for a home’s roof to have the proper soffit vents to keep ventilation even and properly functioning. Airflow that is continuous will extend the roof’s life. Installing these vents will help avoid ice dams and condensation in the attic space during the cold winter months. It will also help to lessen heat buildup throughout the hot summer, helping to save on air conditioning costs. These vents allow fresh and cool air into the attic at the same time different roof vents let hot and humid air out. Many roofers advise installing one roof vent for every installed soffit vent. First, a homeowner should research local building codes which will outline the number that is needed. There are different kinds of these vents to choose from that include circular, continuous, and perforated. Circular vents come in various diameters and are installed by drilling into the soffit and placing the vent into the holes. Continuous vents can be used along the entire length of the soffit. Perforated vents are used for vinyl siding. In fact, it only requires following a few steps. Before starting the project, a person will need gloves, a mask, ladder, drill, nails, a hammer, saw, and cardboard. To begin, a person must head to the attic and find the place where the vents will be installed. The area must be marked and a hole should be drilled. Another way to accomplish this is to hammer a nail into the soffit. Next, a person should create a template of the vent out of cardboard. A hole should be placed into the center. The template must be an inch less than the real dimensions of the vent. On the exterior of the house, a ladder should be placed under the roof’s eave. The template should be placed on top of the hole made from the attic. A person must trace the template. While wearing safety gear, the outline should be cut out using a saw. The vent can be put into position over the opening and screwed or nailed into place. It is essential to use quality parts when installing vents into a roof. Companies like FAMCO have been in business for many years and manufacture high quality air ventilation products in various materials. 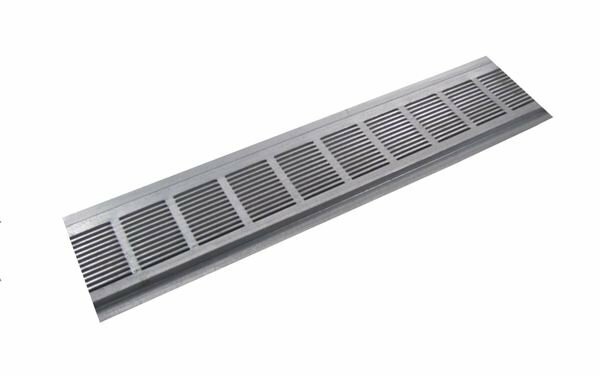 When looking to purchase soffit vents, FAMCO guarantees customer satisfaction and assurance that efficiency and experience went into every product.